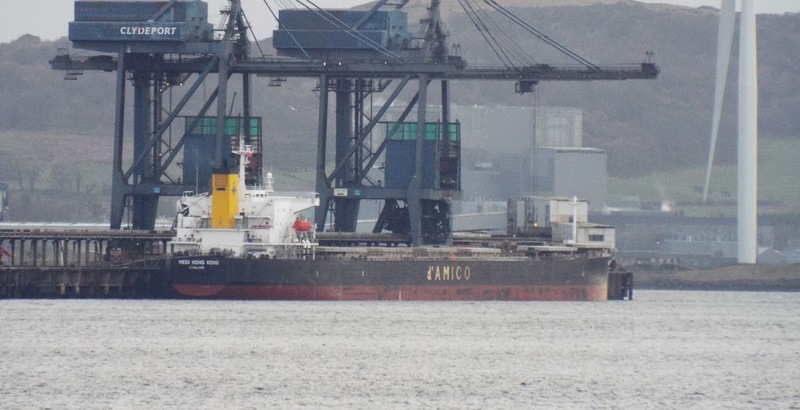 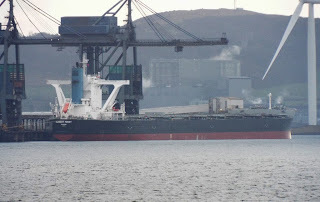 Bulk carrier Medi Hong Kong unloading at Hunterston 25 January 2014. 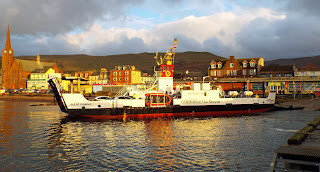 Loch Tarbert fresh from Ardmaleish at Largs 20 January 2014. Bulk carrier Hubert Fedry unloading at Hunterston 20 January 2014. 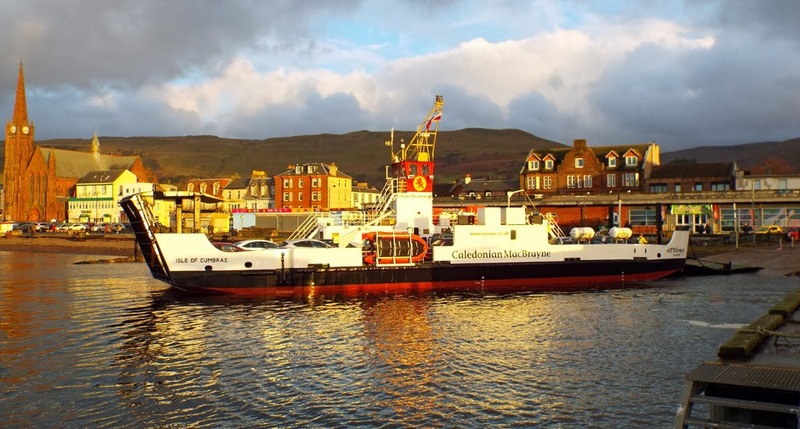 Isle of Cumbrae on her (now annual?) 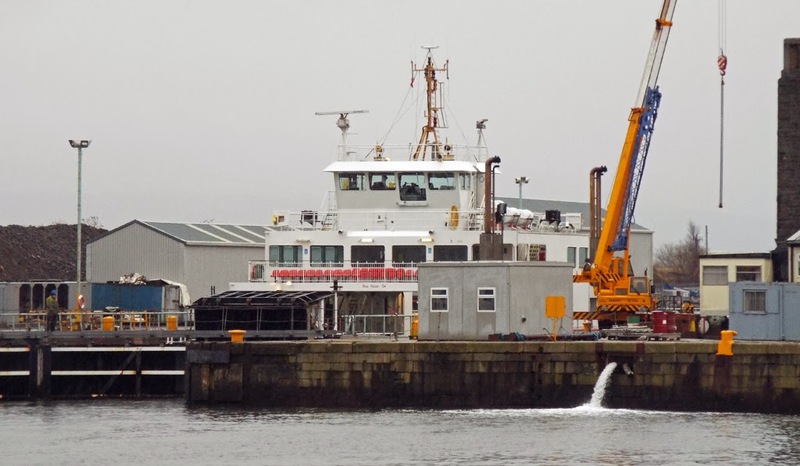 relief stint for Loch Shira at Largs 20 January 2014. 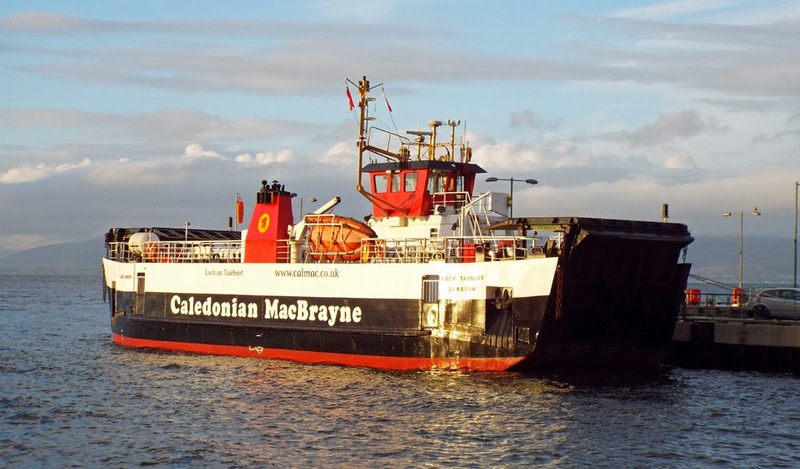 Caledonian Macbrayne's Hebridean ferry Loch Portain in Garvel drydock 18 January 2014. 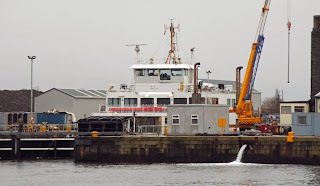 She is accompanied by Loch Shira (out of shot).